Treat yourself to a dream holiday in Italy and make Piantelle your place to stay! Located in Moniga del Garda, Lombardy, this holiday resort will welcome you into a natural setting, surrounded by olive trees. Situated next to the beach and 3km from Lake Garda, the Piantelle camping resort is a true haven of relaxation, escapism and discovery. Welcome to the Piantelle camping resort! Make this small Brescian paradise your playground. Enjoy the delights of swimming in the camping resort pools, relax in complete comfort in the sauna, stroll along the pebble beach... 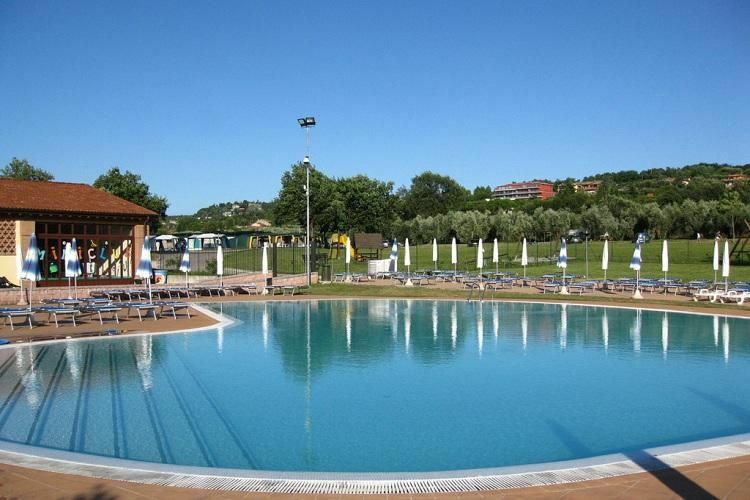 The Piantelle camping resort offers you numerous possibilities. Take advantage of our original activities, all devoted to relaxation, sharing and conviviality. Food lovers, treat yourselves to regional dishes in our restaurant. In the evening, come down to the bar to sip a sparkling aperitif and meet the other residents. At the end of your holiday, don't forget to take a bottle of olive oil back as a delicious reminder of your trip to Italy. Desenzano train station (10 km). 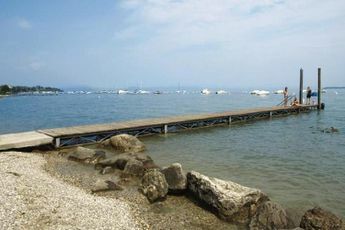 Nearest townMoniga del Garda (1 km). Welcome to Piantelle camping resort, on the shores of Lake Garda, in Moniga Del Garda! Renowned for its rich natural heritage, Lombardy can offer you much beauty to explore. You can't miss a stroll along the shores of Lake Garda or an excursion to the Valpolicella region, renowned for its wines... Opera lovers can treat themselves to an evening at "L'Arena Di Verona". In the evening, sail from the port of Moniga and enjoy a night partying in Salo or Desenzano del Garda.